Powerlifting, the world's strongest barbell sport, becomes a vehicle for change that transports Pat closer to her physical goals while also deepening personal relationships with loved ones and the Lord. Reading each chapter of Pat's book made me take a step back and look at my own walk with God. Am I heading in the direction of God's plan for me, or am I trying to take the lead? I remember my pastor saying one day in a sermon that if we wanted to give God a good laugh, tell Him that we have a plan for our life. It is as if Pat loads us all up into her truck of 'Faith' and drives us on an adventurous road trip through the unfamiliar world of powerlifting. Along the way we stop to visit the friends, coaches and competitors. She is not afraid to travel the 'not so pleasant' dark part of the roads but quickly makes a right hand turn to show how God turned her wrong actions into ultimate Glory for Him. 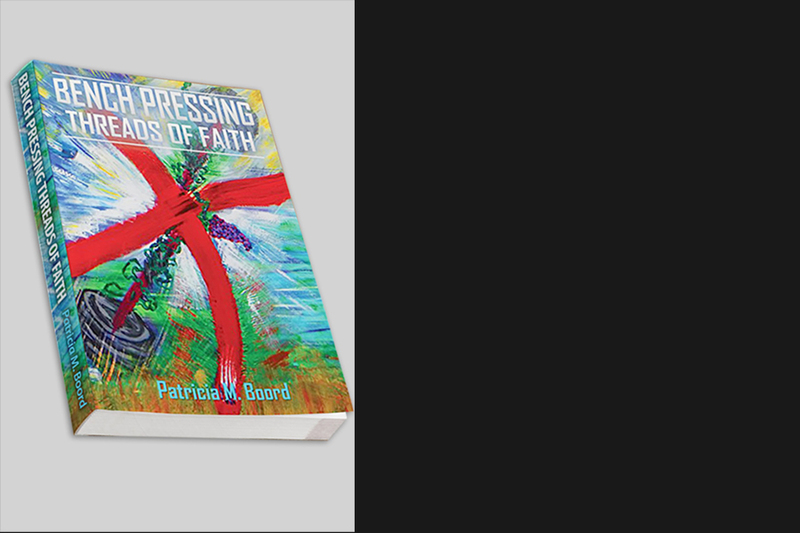 Bench Pressing Threads of Faith is a must read for those craving a better understanding of personal faith, communication with God and growth toward Him in the context of daily Christian living. Pat Boord, in a casual and conversational style that is very open and accessible, leads the reader on a journey through both the development of her Christian faith and her subsequent interest and commitment to good health and powerlifting. Pat is an AMAZING speaker! The passion in which she spoke about her journey inspired me to find my own path through God. I believe her story should be shared with anyone who may be having trouble finding a purpose. Pat is a true testament of a person living in their faith.